and - fastening of one beam; - fastening of two beams. For the device of garret and interfloor overlapping into walls cut beams. In external walls their ends krepjat skovorodnem, and in internal - poluskovorodnem. 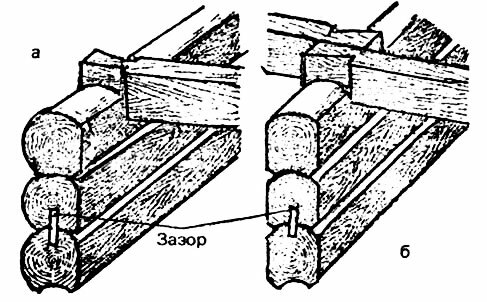 If beams it is necessary to have against each other them put not end-to-end, and cut for all thickness of a wall (fig. 17).